–Macaulay Culkin as Kevin McCallister in Home Alone as he prepared to set up his house with booby traps to outsmart would-be burglars. Maybe Kevin McCallister was on to something. 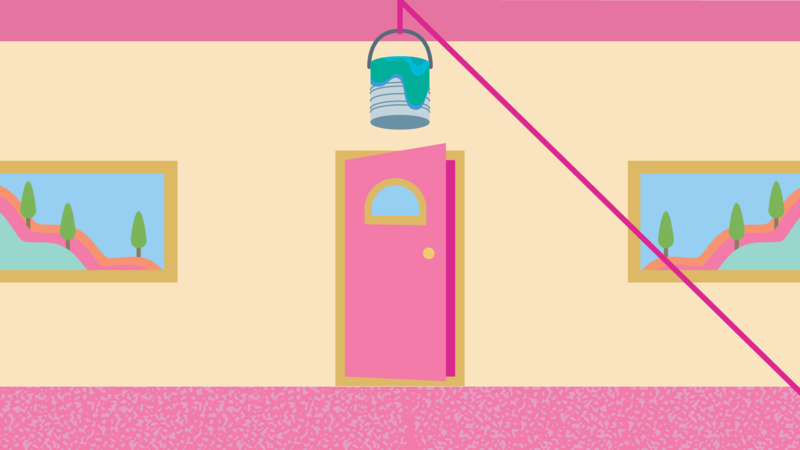 Not the part about rigging up a gallon of paint on a rope so that a burglar breaking in through the front door gets smacked in the face with it. But the part about protecting the home. Getting a new house is a big investment of time and money. Your time and your money. We know you’ve worked hard to get to the place where you can lay out a welcome mat and say this is the place you want to call home. But who you don’t want to lay out your welcome mat for are intruders, or those who may want to cause you or your home harm. Have you heard what the latest facts are as they relate to home crimes? 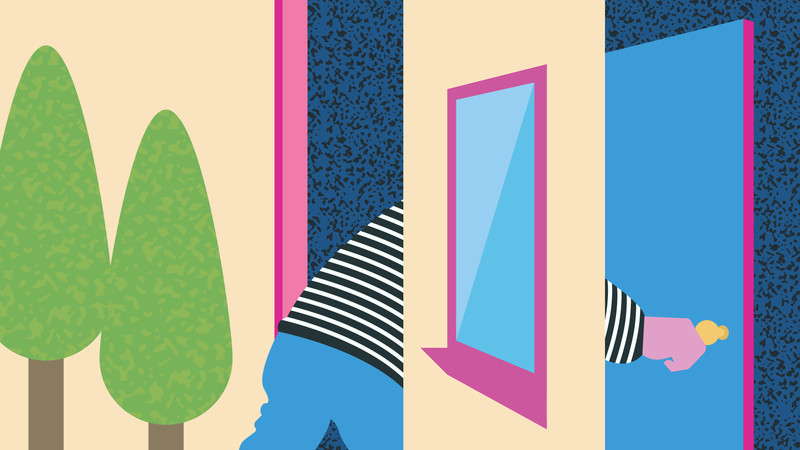 30% of all break-ins are through an open door or unlocked window or door. 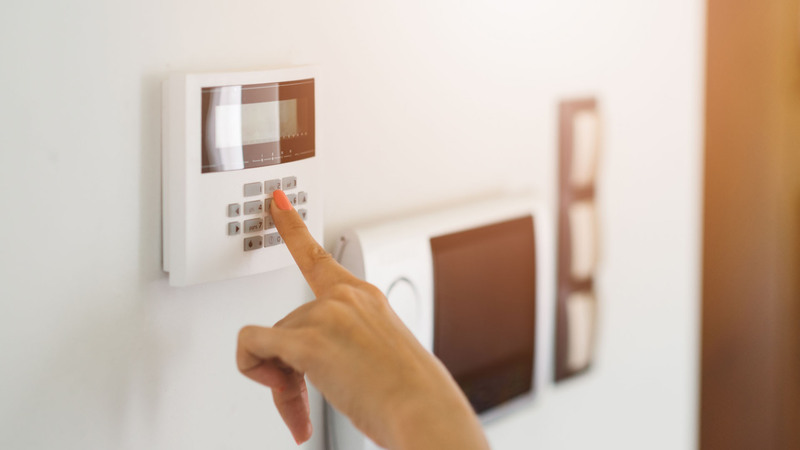 Instead of at night, when you’d assume these crimes would occur, most occur between 10 a.m. and 3 p.m. so there’s less of a risk of an occupant being in the house. 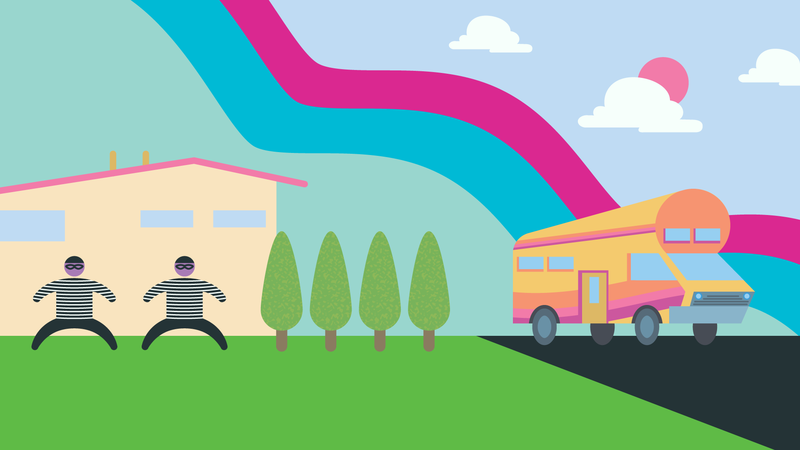 July and August are prime times for home invasions, as the chances for people to be on vacation are greater. On the other hand, February is a time when burglars take a break-in break. Single female heads of households with kids were the most often broken into while they are home; married couples without kids, the least likely. Want to let intruders know you’re on vacation? Let your lawn grow and your mail overflow while you’re away. How your landscaping contributes to burglary: tall trees, shrubs, hedges, and fences conceal activity, allowing undesirables to go about their business without being seen. Burglars specifically look for cash, jewelry, prescription drugs, electronics, car keys, personal info, and credit cards, in that order. The master bedroom is the first room to be hit because it’s usually the room with the highest concentration of those valuables mentioned above. The average homeowner loses $2,230 in a burglary. But it’s not just about the material things. There are also great psychological comforts stolen. Your home is a sacred space. Your own little private island that you govern and run the way you want. And when your domain is violated, it can lead to a form of Post Traumatic Stress Syndrome (PTSS). Think about it. A stranger has been in your house, rummaging through your personal belongings. They’ve touched stuff, broken things, maybe even helped themselves to your fridge, or slept in your bed. It’s not a good feeling. Now you’re at a point where you can’t feel safe. You’re cleaning the place top to bottom (which isn’t at all a bad thing, but it’s not the right motivation, right?). All of a sudden, you’re looking at every stranger that passes by your house. You can’t sleep. And you might even feel guilty and inadequate because you’re the one who left the window unlocked. Is that really something you want to put yourself through? We didn’t think so. Social media is a great way to connect with people, but if you’re on vacation or out for a late night, don’t brag about it. That information, in the wrong hands, says, “Come on over and clean me out! “Stopping your mail and newspapers is another cheap defense system that makes it look like you’re home, going about business as usual. Knowing your neighbors means you’ve got extra eyeballs on your house. Letting them know your work and vacation schedule is a great way to deter intruders because neighbors can watch out for packages that are delivered, unusual activity in and around your home, and anything else that may seem suspicious. Good neighbors make good defenses! Neighbors or close friends you can trust a key with can stop by to check on your house, water plants to keep them looking like someone’s home and caring for them, or even move a car to a different spot in your driveway to make it look like you’re home. Have a garage door opener? Ideally, we’d say don’t keep it in your car because if someone broke into your car and found it, they’d have access to your home and it may be next. But if convenience rules out, at least keep it out of site, in the glovebox or center console. Dropping your car off to get it worked on? Make sure you remove your house key when handing over your car keys to someone for an extended period of time. Even if it’s a reputable business, all it takes is one bad apple to get your house key copied, giving them all they need to gain entrance. Don’t close every blind, drape, and shade in the house. You may as well put a big sign on your front lawn that says, “We’re not home, take what you want”. Lock your doors, latch your windows, and put a stick in the track of your sliding patio door so it can’t be opened. Enough said. If you have timers on your indoor lights, put them on different lights around the house on a regular basis. It throws off anyone who may be staking your place out, looking for patterns. Form a neighborhood watch program. Coordinate nightly or weekend surveillance of your area or subdivision. Whether you’re on foot or in a car driving street to street, would-be intruders don’t like the idea that there are people watching them. On to the more costly options in protection—home security systems. These are considered by most to be the best way to secure your abode. There are both monitored and self-monitored systems. Monitored systems give you a team of people who look out for things 24/7/365. So whether you’re asleep, at the office, or away on vacation, they are on the job. These systems also come with a monthly monitoring price tag (usually anywhere from $9.99 – $39.99) and service contracts that lock you in for a certain period of time (typically a minimum of 36 months). Of course, the more bells and whistles (and alarms) you add, the more pricey it gets. Self-monitored is exactly how it sounds—your house gets outfitted with the system, but you do all the monitoring. And save all the money. The other consideration is to go wired or wireless. Wired usually hooks up to a landline and is the most reliable. Wireless has no wires, but you’re also at the mercy of the internet and the interruptions that go with it. Gaining popularity in the home security field is what you can do with a smartphone. 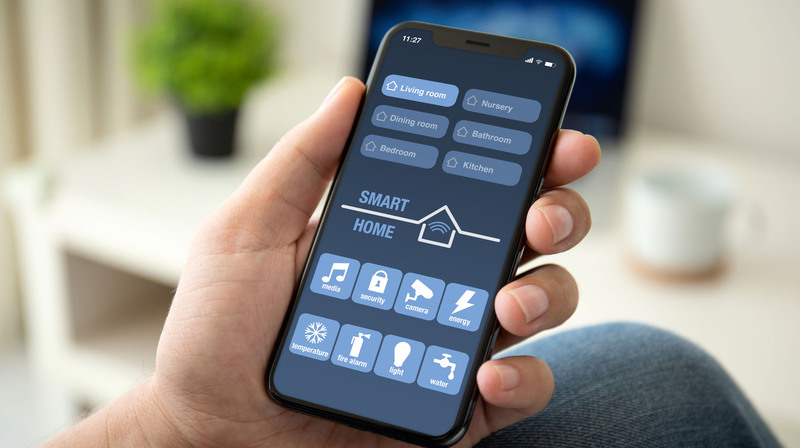 With some simple equipment you install at your house, and the apps that go with them, you’ve got home protection in the palm of your hand. These are powerful combinations. With them, you can turn on your interior lights, a TV, or a radio from a remote location. There are apps that allow you to look through a security camera in your hallway. There are doorbells with cameras in them so you can see and even talk to someone on your front porch. And while that person thinks you’re talking to them from inside the home, you could be a million miles away. You can find these modern day monitoring systems at most big box home and discount stores, as well as online. –Gangster’s voice from the videotape that Kevin McCallister plays in Home Alone to deter his impending intruders. Kevin had the right idea in trying to outsmart his two bumbling burglars. Today, however, it takes much more to be one step ahead of them. Hopefully, a few of our suggestions find their way onto your “To Do” list. 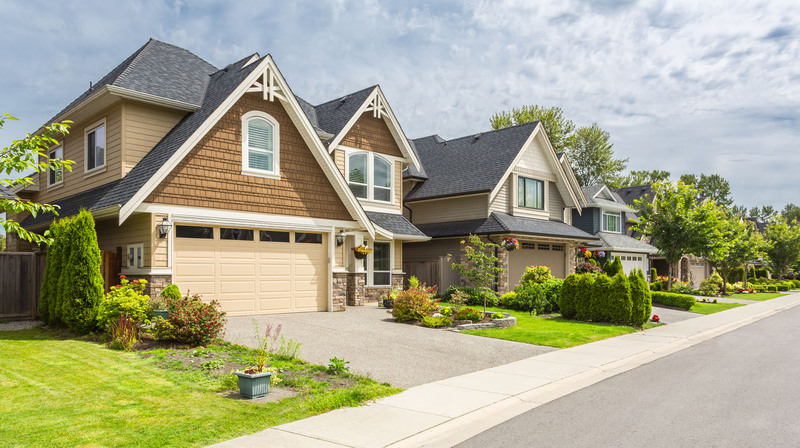 We know there are probably a lot of other things you’d rather put at the top of it, but protecting your home, and everything under your roof, should take priority.